How Far is Sea La Vie? Gracious white variant Vitrified flooring 1M x 1M in the Living, 32" X 32" Kitchen, Dining & rooms. 32" X 32" Vitrified Flooring in all Bedrooms. Anti-skid Coloured Flooring & Marbonite in all Bathrooms. Shock-proof Concealed electrification with Circuit Breaker Safety System. Fire-retardant Copper wiring with MCB Controls. T.V. points in Living Room & Master Bedroom. Telephone Connection in Living & Master Bedroom. Split A.C. provision in all Bedrooms. Exhaust fan provision in all toilets. Power back up for each villa. Two-way control switches for Light and Fan in all Bedrooms. Modular Kitchen with three burner stove and chimney from reputed brand. Wall Tiling up to 7 feet above Kitchen Platform. Plumbing and Electrical Provisions for Water Purifier System. Power Points for Kitchen Appliances. 4' wide Elegant, Paneled, Main Door with classy fittings. Premium quality Door Fixtures & Fittings. Internal doors, OST flush doors with rich & cylindrical "Child-safety" door locks. Eco-friendly Royal shine paint in entire building ensuring minimal environmental damage. All Internal Walls & Ceilings in premium quality "water-resistant"
One Coloured wall in each Bedroom. Garden Tails for common areas. Camera in all common area for Visitor Tracking. Porotherm Bricks (for further details visit http://www.wienerberger.in) used for increased thermal insulation and lower water absorption to ensure superior finish & quality. Superior Quality Sliding UPVC windows & Terrace Long-life bearing for all sliding doors and windows. Structure in accordance with solar passive design principles. Tensile membrane roofing for Staircase Headroom. Large window panels for maximum natural light and ventilation. Intelligent plumbing for effective water conservation. 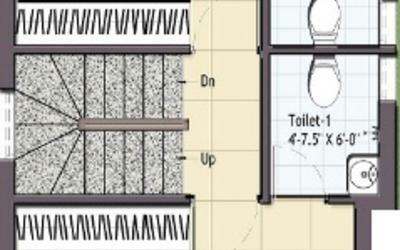 Water-saving dual flush cisterns for toilets. Intelligent electrical design reducing electrical load. Independent villa with 3-side set back. Roof top Party Area & Meditation Space. Anti Termite Treatment for all the floors. Septic Tank and Inspection Chambers. Path ways will be paved using Ultra tiles. Pressure tested Concealed plumbing for long life. Concealed PVC pipeline in bathrooms of Finolex brand. Double coat water proofing with chemical treatment to all toilets and terraces. Other Toilet Suites – Standard Wash Basin & European WC and fittings. Joint-free Ceramic Wall tiles up to 9.5' high. 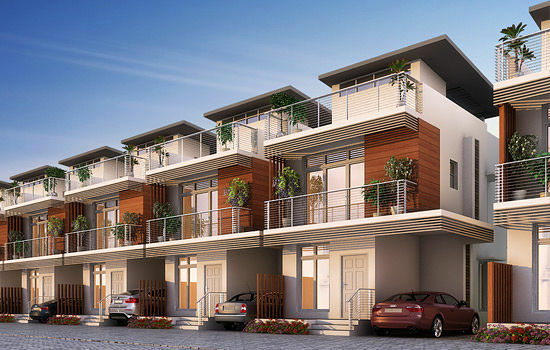 Myproptree is a professional real estate transaction and development firm with its headquarters in Chennai. Powered by a set of motivated and seasoned professionals from the real estate sector, Myproptree is destined to establish itself as a reputable, dynamic, fast-growing and innovative real estate enterprise in the region. Myproptree's brand image is that of constant innovation, trustworthiness, value and service. What this means is that we always strive to provide unique and effective real estate solutions to our clients and customers. Myproptree prides itself on being a result oriented company. Myproptree has a seasoned set of real estate professionals with a combined cumulative experience of more than 350 man years.